Chances are you’ve seen a number of chefs use balsamic vinegar on TV. You may have even bought a bottle for a recipe, but now aren’t sure what to do with the rest. Balsamic vinegar has many great uses and has a flavor that works well with sweet and savory dishes. The following are just three delicious ways to use balsamic vinegar. Skip the butter during your next Italian meal and make a bread dip using extra virgin olive oil, balsamic vinegar, fresh herbs, minced garlic, and crushed red pepper flakes. It’s a delicious alternative to garlic bread. An aged balsamic vinegar is the perfect topping for grilled fruit. Try grilling peaches, plums, and pineapple. Top the fruit with vanilla ice cream and a drizzle of age balsamic for a gourmet dessert. 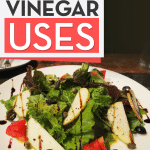 If you want to add delicious flavor to your meals, balsamic vinegar is a great option. Whether you drizzle it over grilled fruit and ice cream or create a homemade salad dressing, you’ll love this unique flavor in your favorite meals. 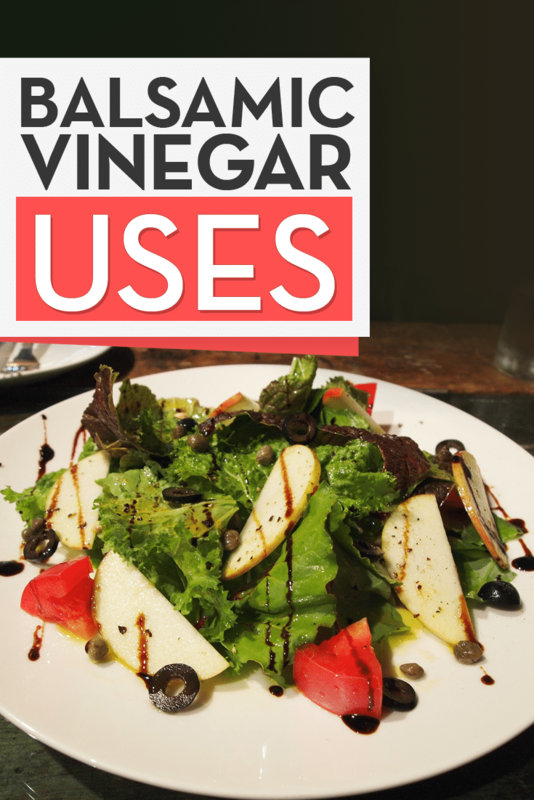 Last, but not least, one of the most common balsamic vinegar uses is to make delicious salad dressings. Again, you can mix extra virgin olive oil and balsamic vinegar with fresh herbs. When it comes to homemade salad dressings, vinaigrettes are fast, easy and delicious choices. One general rule of thumb to keep in mind when creating your own vinaigrettes is to use 1 part balsamic vinegar (or other acidic ingredient) to 3 parts oil. In other words, if you use ¼ cup balsamic vinegar, you’ll want to use ¾ cups of oil. If you like a little more kick to your dressing, try a 2:1 ratio instead. Combine all ingredients in a glass bowl or container with tight-fitting lid. Mix or shake vigorously to combine thoroughly. Pour on a salad of mixed greens and add grilled chicken for a delicious lunch. Can you think of any other Balsamic Vinegar Uses?